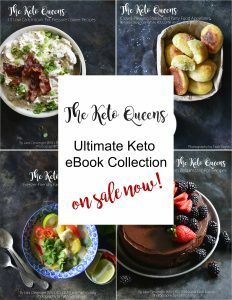 When starting a keto diet, many people want to re-create their favorite non-keto foods to help with compliance on a keto diet. Many foods people seek to re-create are breads, buns, muffins, cookies, brownies, pastries, tortillas, and many other flour-based foods. Coconut Flour is very high in fiber and low in carbohydrates so it is perfect to use in baked goods such as breads and desserts. Since it is high in fiber it usually only requires about 1/4 the amount if substituting in place of normal flour or almond flour. Almond Flour is high in fat, low in carbs, and moderate in protein. It is more dense than coconut flour and is usually a 1:1 substitute for regular flour, unlike coconut flour. Psyllium Husk Flour is a flour that I had never used before I started to follow a ketogenic diet. It’s high in fiber and is mostly used in breads and roll recipes. Ground Flax Seed is high in fiber and fat, and is packed full of ALA Omega 3 fatties acids. Ground Chia Seeds are high in protein and fiber and have 0g net carbs per serving. They are great for using in baked goods, but I like using ground chia for smoothies because it tends to not stick on the inside of the blender like regular chia seeds do. Ground Sunflower Seeds. I’ve seen a lot of pre-made baking mixes use this as their flour of choice. They make for really chewy cookies and brownies! Cricket Flour. Are you feeling adventurous? Cricket flour has 2g fat, 1g carb and 7g protein per 10g serving. Oat Fiber. With 3g of carbs all coming from fiber, this flour is perfect to add to baked good without the fear of spiking your blood sugar. Thank you for this list of flours. I am highly allergic to anything almond and coconut. You’ve listed several alternatives that I am willing to try. Not in large quantities since it is high in carbohydrates. Is Grape seed powder okay to have on keto? Hello, How about Spelt flour? Spelt flour is high in carbs so I wouldn’t suggest consuming this in large quantities. I was always allergic to coconut and always thought I am the only one with coconut allergy. It give me nausea and i vomit even if i smell it. My husband convinced me that my allergy is psychological. So I overcome it this year. The only exception is raw coconut and I am positive that i will eat that one day. I watched a an episode of Rotten on netflix and it gives me better understanding of allergies. 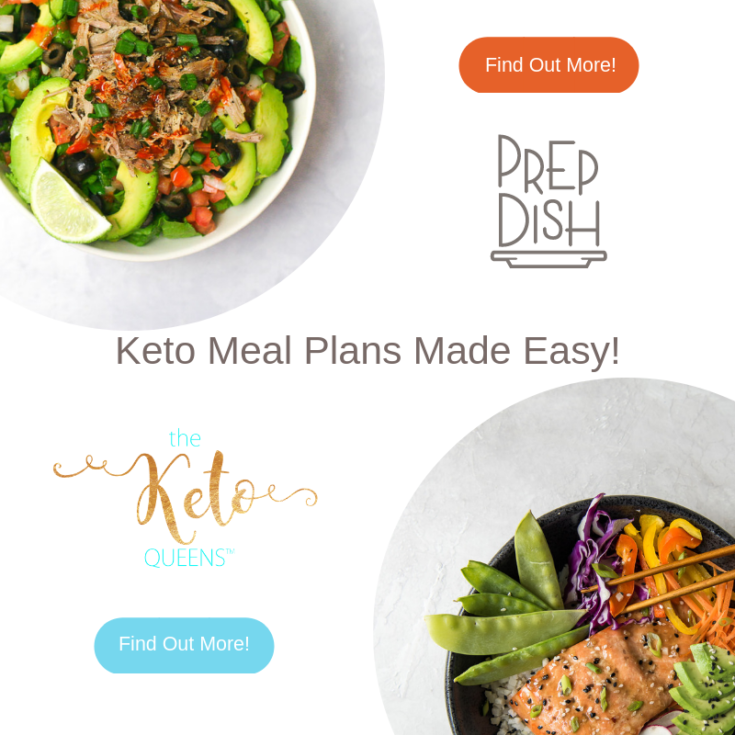 Hello, could you tell me if Sorghum flour is allowed in a Keto diet? 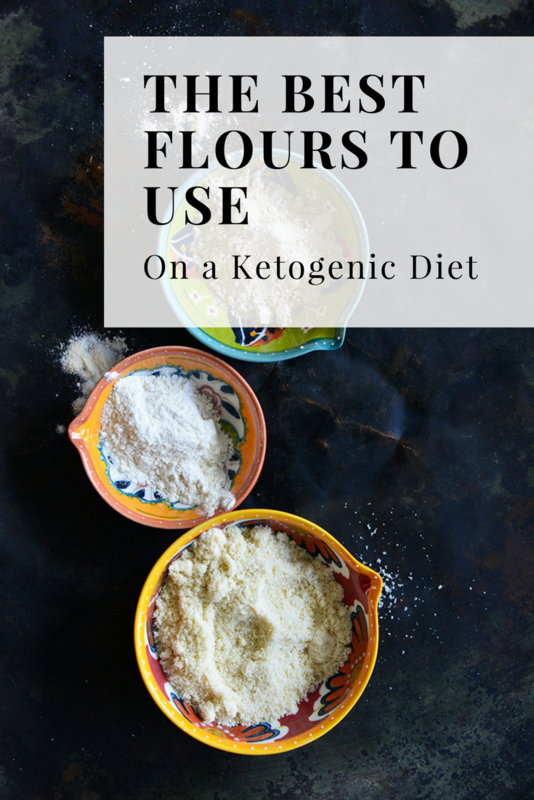 Carmen, This flour is very high in carbs, so we avoid it on a keto diet. I like to use Macadamia nut flour. You usually have to make it yourself by getting the unsalted whole nuts in bulk at a shop like sprouts. Then pulse it through the food processor to make flour. That’s a great idea! I’ve never thought of thought! I’m on the keto diet and I have tried various recipes using almond flour but cannot stand the taste or texture so end up throwing the food out. I’ve been reading about Carbquick but wondered if that’s even a good option. If I use psyllium husk powder or oat fiber, would I do a 1:1 sub? Melissa, First of all, welcome to the keto family! Unfortunately, we don’t use Carbquick so we can’t give advice on that. 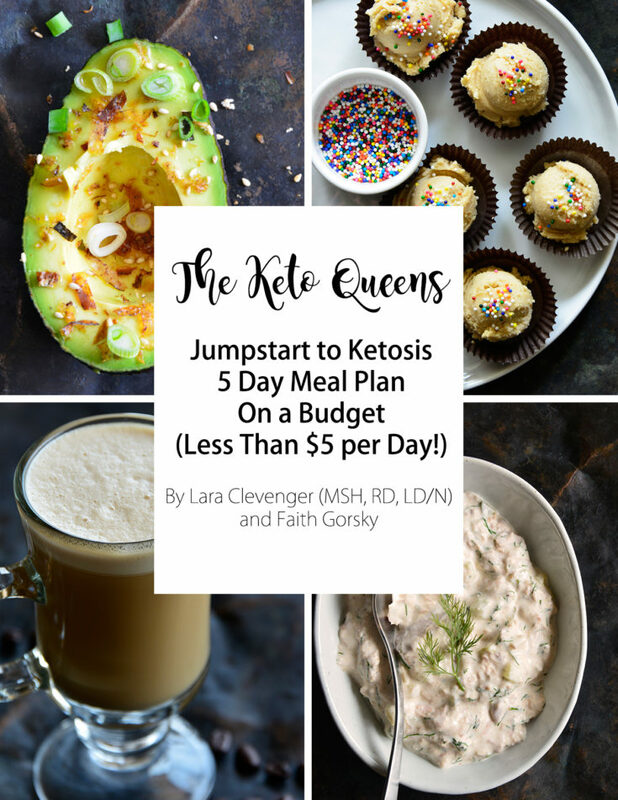 Regarding psyllium husk powder and oat fiber, they are typically used in very small amounts in conjunction with another keto-friendly flour because they can create very dense and/or rubbery baked goods when used alone. We hope this helps! Am sure trying something different this weekend. I have not heard of that flour before but I will look into it. I’m sorry I’ve never heard of that but I will have to look into that! Question: is peanut flour a better substitute for almond flour ? It depends. Some people have reactions to legumes so it’s very individualized. It is low in carbs tho! We don’t really recommend peanut flour that much since so many people have food sensitivities but it is a good low carb option. Which one would you say was the best financial choice? Cheri, Coconut flour is probably the most affordable choice, especially because a little bit usually goes a long way. However, take note that coconut flour can be a little finicky to work with, as it absorbs a lot of liquid. Have fun experimenting! What is the easiest for a new cook to use? I have no idea what I’m going, but I got a new kitchenaid and am getting a food processor, so I’d like to switch it up! Katie, Almond flour is probably the easiest keto-friendly flour for a new cook to work with. It’s very versatile and can be used in recipes for cookies, muffins, breads, scones, cakes, etc. (Of course the ratio of almond flour to other ingredients changes based on what you’re making.) But with that being said, because almond flour doesn’t have gluten, it can be difficult to simulate the soft crumb of regular baked goods unless you combine almond flour with another keto-friendly flour and/or a binding agent. This is why a lot of our recipes call for more than one type of flour. I hope this helps! If you’re looking for a certain recipe in particular please let us know and we’ll try to point you in the right direction! And yay, have fun with your new food processor! Is splet flour ok with keto diet? Spelt flour is pretty high in carbohydrates so I would try to minimize it. would you please note the ratio of Omega6 to omega3 in your suggestions. I am trying to avoid the inflammation assoc w too much Omega6. Most medical organizations rec a ratio of 4:1 (omega 6: Omega 3). If you have any inflammatory diseases a smaller ration like, 3:1 or 2:1 may be beneficial. Do you have to use xanthum gum with coconut or almond flour? Almond flour and coconut flour are both gluten free so many recipes that use those flours have xanthan gum to help bind them together. Yes. Gluten free flours need binding. is this why my cookies fall apart and crumble instead of being like normal cookies. We have not made any keto flour mixes yet unfortunately. It’s on our list of things to test though! No, rice flour is too high in carbs. 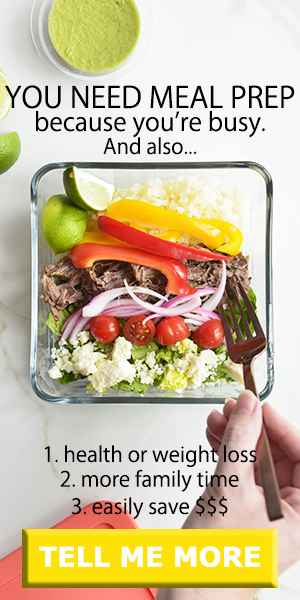 I am very new to this diet, but I must say I am so impressed. No snack cravings were the first surprise! I am already gluten intolerant so was bummed out to learn of all the flours that are way too high carbs especially rice flours! But already I have tried many recipes even found one made with almond flour taste just like the cheddar biscuits at red lobster! Heading out, I saw you mentioned oat fiber.. what can you use this in? That’s awesome about not having any snack cravings! You can use oat fiber to provide more stability to breads and other quick bread recipes. It has 0g net carbs which is awesome! What about cassava flour? By the way, I did not notice arrow root flour on the list and I’ve already used this quite a bit in cooking. Is sweet potato flour also a no no? What flour do you think would work best for making homemade pasta both in terms of flavor and workability? I am concerned that some of these flours might be hard to work through a pasta maker and I don’t want a flavor that will clash with basil pesto! Really appreciate your help! I’ve actually never made keto pasta so I don’t think I would be much help. Maybe google a few keto pasta recipes and see which ones they use? Is Oat really a low carb choice? According to nutrition data website , 100 grams of Oat flour contains 60 grams of carbs plus 5 grabs of fiber. Oat fiber is low carb, while oat flour is high carb. Thanks for prompt reply. I learned something new today. I will try it when I bake next time. To make tortilla/roti what flour or combination would you recommend? For our low carb tortilla recipe we use almond flour. What about Sesame Seed flour? That should be fine too! What about tigernut flour. I don’t like coconut or almond flour. They give foods a funky taste. So any suggestions on different flours to use? I have never heard of tigernut flour, I will have to look into that. New to your web site ladies. What is your take on the Carbquik baking mix? Also, we tend to avoid wheat, soy and canola oil so this wouldn’t be a product we would use personally. What about soy flour? I’m fed up with almond flour…everything is starting to taste the same! We prefer not to consume soy at all. Is Quinoa flour good for Keto diets? Unfortunately not, quinoa is high in carbohydrates. What about Besan (chickpeas flour) is it okay to use it? We have someone in our house who cannot have any nuts (almonds) or coconut so those flours are out. He cannot have oats either. What flours would be acceptable? Hi Lara, How about peanut flour? Is it keto? Peanut flour is lower in carbs, so it depends on the amount that you use. What type of flour would you recommend for thickening soups? I have a great mushroom soup recipe, which all the ingredients are Keto friendly, but it calls for 2 Tbl of flour to thicken. Thank you for your help! JoAnna, We have 3 ways we typically thicken soups: 1) with a bit of cream cheese, 2) with heavy cream, or 3) with beef gelatin. Depending on which you use, it will change the flavor of the soup slightly, but cream cheese or heavy cream might be a really delicious flavor pairing with mushrooms! Xanthan gum will also work if you have it on hand (start with a little and work your way up), but we don’t use it (unfortunately it causes tummy troubles for a lot of people, us included!). Can you use almond or coconut flour as a dusting on chicken if you want to bake it so it can have the “fried chicken” resemblance? Also, is casava flour on the Keto diet? Yes! You can coat with coconut flour, then dip in egg and then dip in almond flour to have a “fried chicken” breading.” I would use cassava flour in very small amounts since it is higher in carbohydrates. What about water chestnut flour? Is it keto compliant? Kavitha, 1 ounce of chestnut flour has 3.1g net carbs so it’s a little on the high side and it’s our top choice for keto-friendly flours. However, if you can fit it into your macros, then we say go for it! I use veggie flour works great, I am not on a keto diet, but I love juicing and hated throwing away the pulp, started making dog treats with the pulp, then started making flour. Pumpkin, carrot and beet flours are awesome to cook with. Ana, We love naan! We’re developing a recipe for a special project we’ve been working on for the past couple months. We can’t wait to announce it! Check back because we’re hoping to be able to share more information on the project very soon! I’m very new to this diet and I have a question. If the amount of flour is less than a few tablespoons to coat beef in a stir fry, wil this hurt this diet? Rod, With a ketogenic lifestyle, the point is to stay within your macros, so if you’re not gluten-intolerant and the flour fits into your macros, you should be fine. Have you calculated what your macros should be? We have a post talking about which macro calculators we like best, if you’re interested: https://theketoqueens.com/macro-calculator-review/ Additionally, a doctor can help you figure out the macros that will work best for your health and fitness goals. 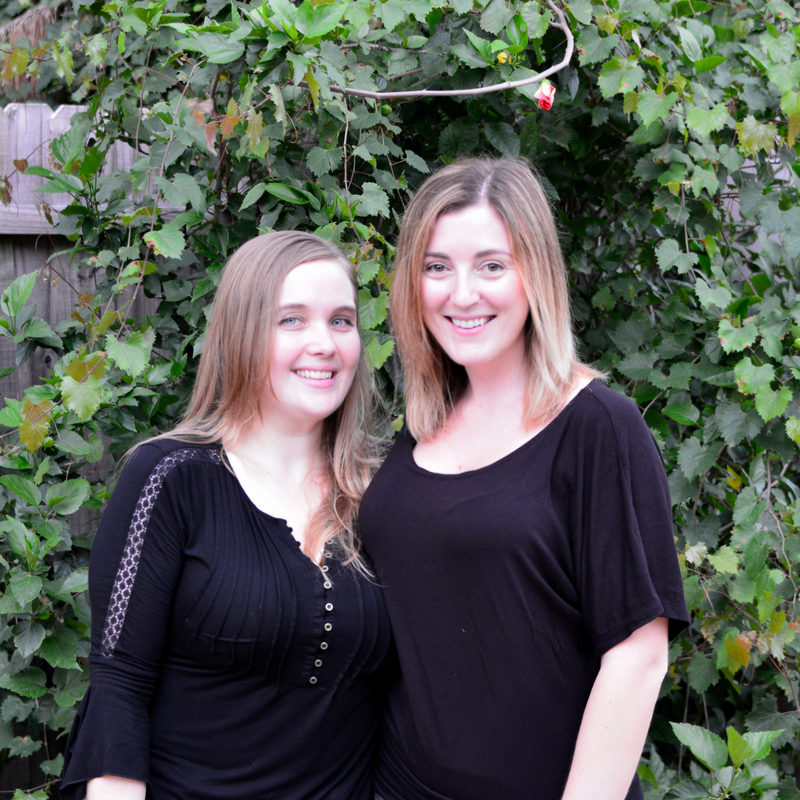 Best of luck and welcome to the keto family! I am from a Hispanic / Jewish household….we LOVE LOVE LOVE our tortillas and Challah…..I can’t seem to find ANYTHING that really seems to create that stretchy feel for a flour tortillas and as for the Challah, I can’t seem to find anything that creates, also, that stretchy chewy oh so gooooood “feel”, taste, etc….any ideas???? Nope, not at all. Oat fiber is just the fiber and has 0g net carbs, whereas the flour is just ground up oats and has a bunch of carbs.